WHAT IS A SHOWER NICHE OR RECESS ? 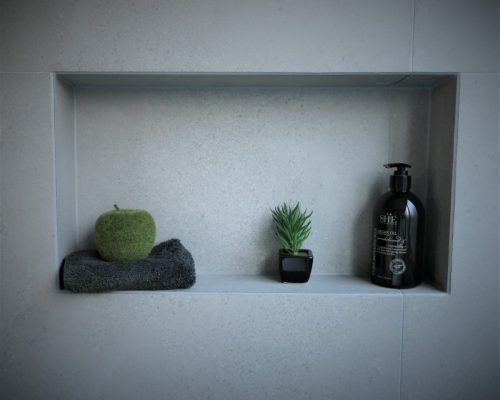 At The Niche Man we make custom made shower niches. A shower niche or shower recess is an area to neatly store your shampoo, soaps, razors etc for easy access while in your bathroom or shower. 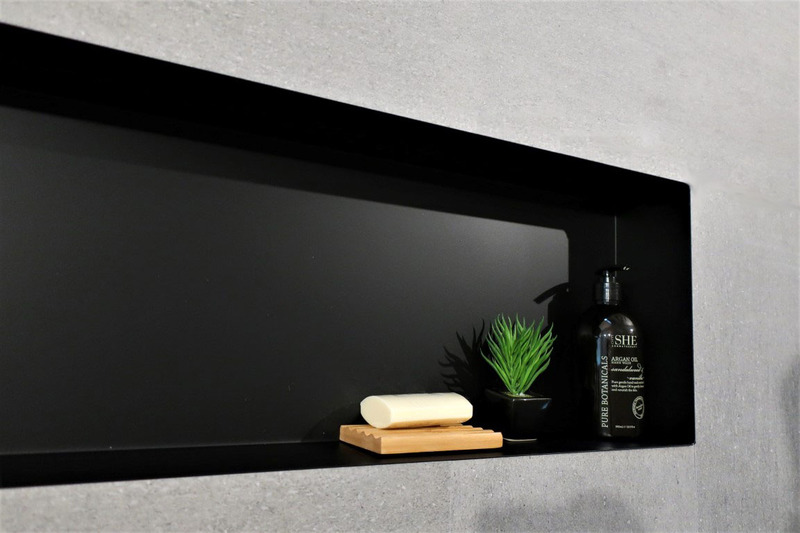 Whether for resting your foot on while shaving or showcasing a feature item, a niche is a modern, easy way to transform your old boring bathroom into a modern, sleek, luxurious space. If you are looking for an easy solution to your bathroom design, then perhaps a custom made shower niche is something to consider. 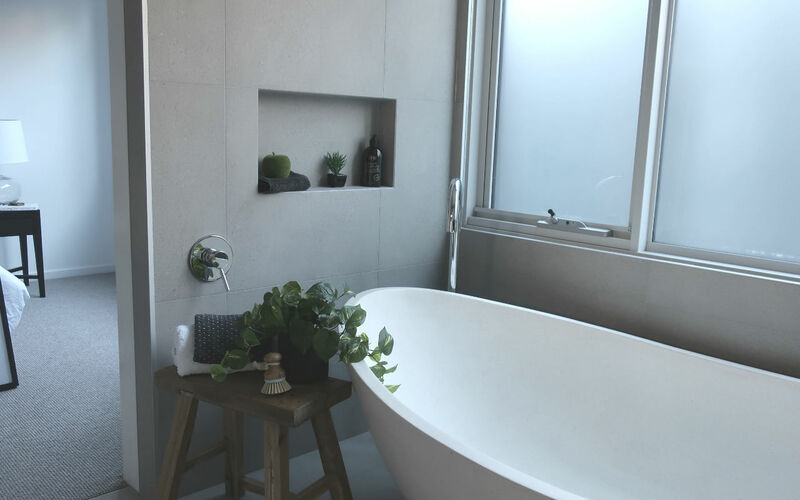 Whether it’s a new bathroom, a bathroom renovation, or even a dry area that needs a niche, our custom made shower niches can save you time and money because they are ready to install. A niche can be any size as long as it is practical. It can be divided into compartments and even illuminated with LED lighting (see your electrician for specifics). 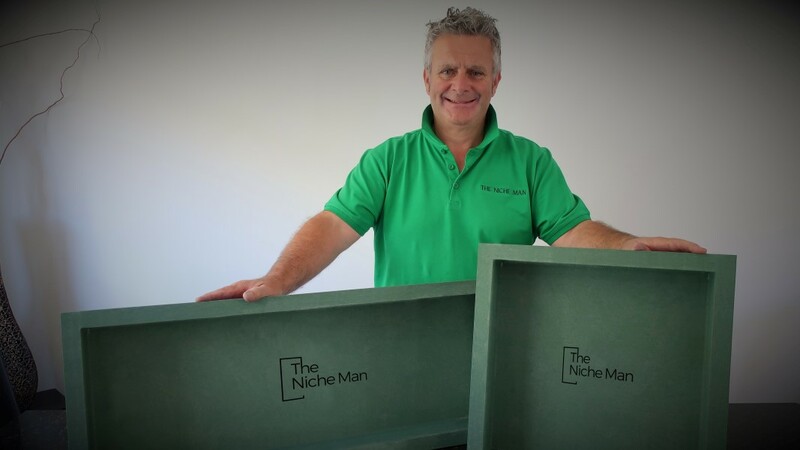 At The Niche Man we specialize in Custom Built niches specific to your individual requirements …any size…any height…any length! They don’t have to be square or rectangular either. If you have something unique in mind, please give us a call. Save time as they are all SQUARED, 100% WATERPROOF and READY TO INSTALL. 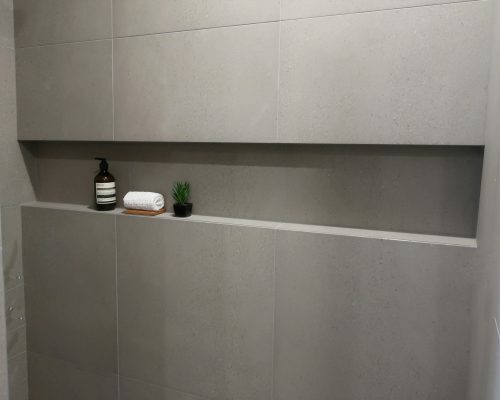 With years of experience and a strong reputation for high quality workmanship,The Niche Man is the perfect choice when you need to showcase your bathroom. We take pride in our work and you can be sure that everything will be delivered and ready to install. 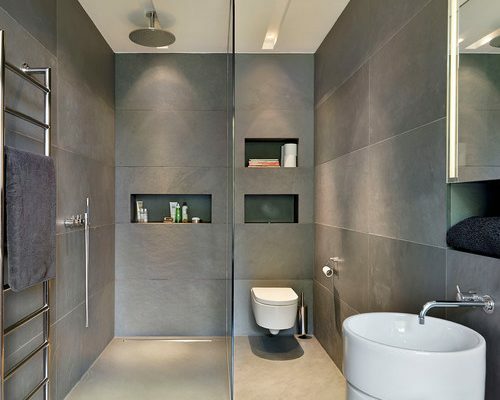 So if you are after a custom made shower niche, then give us a call! Or if you have some more questions, please go to our FAQ page.